Newly-renovated 2 BR / 2.5 BA condo at base of Haystack Mountain and Hermitage Club with direct ski-to trail access when conditions permit. Top-level unit has a beautiful kitchen with new stainless steel appliances, and 2.5 fully-renovated bathrooms. Powderhorn has easy access to Mount Snow ski area, golf, lakes, and the nearby village of Wilmington for restaurants and shopping. Large bay windows provide wonderful views throughout the seasons. Internet available. My family and I stayed here for the weekend (Fri-Sun) and had a great stay. The rental was very clean and nicely decorated. Bedrooms and bathrooms were spacious and we loved the large screen TV and gas fireplace. Also, great view of the valley from the living room. Would definitely recommend! Very nice and roomy two bedroom and 2.5 bathroom Condo. Both bedrooms were nice size as well as a comfortable family room area and dining area. While only one parking spot for the Condo we had no problem finding additional space. Our only "complaint" was limited glassware otherwise kitchen was pretty well equipped. Thank you. We have added more glassware. The condo is clean and neat and newly decorated. The location is convenient to Mount Snow. However, for 2 of the 3 nights we stayed at this property there was no working heat in the condo. We were able to contact the owner and she sent a repairman 3 times to try to repair heating issue. However, we were forced to vacate the condo very early on several mornings due to the lack of heat. Due to our recurring issues during our stay we requested that the owner refund a portion of our rental fee. Despite our requests the owner refused to offer us any sort of abated rental fee. We felt it was extremely unfair to take our rental fee in full with the recurring issues we experienced. For this reason we would not recommend renting from this owner. We note that the heat was fully repaired each time. Multiple accommodations were offered but not accepted by the renter including one free night and late check-out. The renter pursued the owner only after receiving the deposit, not during the time of the rental. We do our best to keep the unit in top working order. 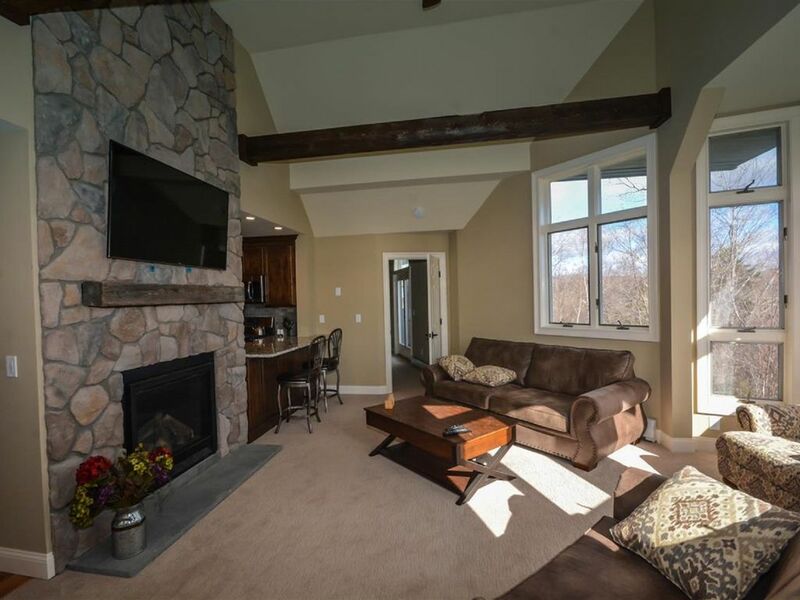 A beautiful condo within a close drive of Mount Snow. Beautiful home, great location, minutes to everything we wanted to do. We loved everything about this townhome! It’s warm and comfy... great location. We can’t wait to return! Available for seasonal @$11,000 for the season. Check-in 4PM, Check-out 10AM. 3-day Minimum for the Holiday Week-ends.